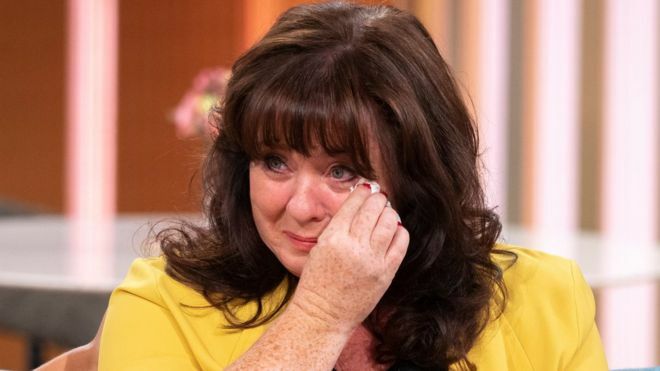 Fans have been shocked to discover that Coleen Nolan has pulled out of all of her media appearances and has now decided to take a backseat with her career. Over the past few weeks, she has received numerous death threats after having an on-screen spat with TV personality, Kim Woodburn. The pair appeared in Celebrity Big Brother together last year in which they had a few clashes, but Kim’s appearance on the lunchtime show was set up by producers to rekindle some sort of friendship; which turned out to be very much the opposite. Kim was filmed storming off the set and called Coleen a piece of ‘trash’ as she exited. “I didn’t want to do the reunion. It was the producers who said she wanted to make peace.” Coleen told The Mirror in an interview. “I agreed because I was happy to draw a line under past differences. An insider source confirmed that Coleen is still “very upset” over the events and has decided to take a break from it all and spend quality time with her loved ones. On a recent interview on This Morning, she discussed that she had received verbal abuse from trolls who claimed she had been ‘bullying’ Woodburn. Over 23,000 signatures have formed a petition to get Coleen fired from her Loose Women position. “I’m so sorry. I didn’t think I was going to cry. It’s just that, I don’t know what I did wrong. I didn’t say anything. I said about two things in that interview because I know what she’s like and I just thought, she needs help really. And I feel terribly sorry for her. So I’m not going to say anything. “Sometimes it’s hard because I’ve never called her names or anything and she’s called me every name under the sun – in print and on that show. And that’s fine, I can deal with that. But to be called a bully and then to have messages going, ‘Why can’t you die like your sister?’ ‘Why can’t you get cancer like your sister?’ I’ve had a week of it. Coleen’s management team confirmed on her personal Twitter account that she wouldn’t be appearing in future episodes of the lunchtime show: “Just to let everyone know – Coleen won’t be on @loosewomen on Thursday she’s decided to go home & spend time with her family instead.” it read. Coleen was already reportedly set to step back from Loose Women in the upcoming months, due to the fact that she is going to pursue a brand-new solo career. Despite being away, she states that she still expects to be on the panel in a whole new format: “Hopefully I can pop back when I’m near enough, or when we can do live link-ups…” she said.